Moehogs get all the glory every year on the 14th day of Hunting (also known as May 14). 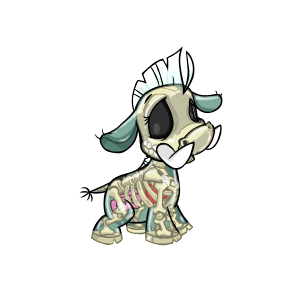 With the release of new colors and new Moehog related items, this is a day long awaited for by lovers of the species, myself included. 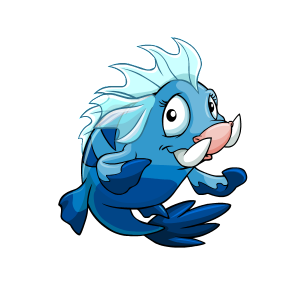 These giant Neopets clock in at a whopping 95cm, have a smooth skinned body made for warmer climates, and signature tusks that are now seemingly unused. 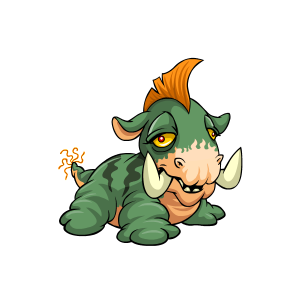 They are a very friendly and fun-loving species who have escaped a history of hard labor underneath the paws of a group of lazy Skeiths. Now that they've been liberated and gotten into greater Neopia, they have made settlements all over. 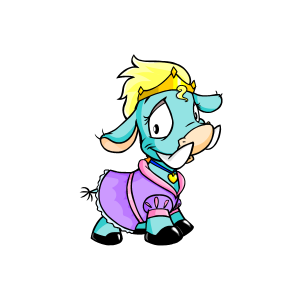 Though, because of their lack of fur, they tend to avoid colder climates like Terror Mountain and have created a significant space for themselves in Tyrannia. Now that we know a little more about these adorable hogs, what is the best way to celebrate their special day? Or, for those more fanatic fans who like to stretch the celebration all month, how can we go about that? I have some suggestions! 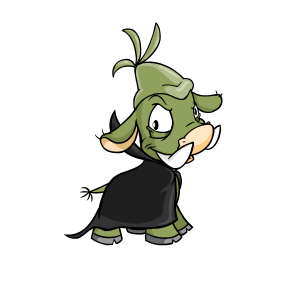 Yeah, this Moehog turned out this way because of some weird concoction formulated by Dr. Sloth himself. Actually, did you know Moehog love to make fun of Sloth? Maybe that's why he made their Transmogrification Potion make them so...lumpy. To mock him yourself, you can paint your pet Halloween and give him a Sloth costume! Speaking of Paint Brushes...that's another way to celebrate the day! 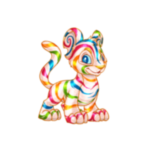 Moehogs are one of the oldest pets in Neopia, and since they've been around so long there is a plethora of colors available for them to be painted. Transparent, Royal, and Maraquan are some of my favorites, but there are literally dozens of colors available. While there are many colors that can be obtained via Paint Brushes, there are some rarer colors out there if you want to risk the species at the Lab Ray or if you are lucky enough to earn a dip at the Rainbow Fountain. Snot and Sponge aren't a lot of people's first choices, mostly because one is kind of gross and the other is more suited for washing your dishes, but the customization of both offer endless possibilities! 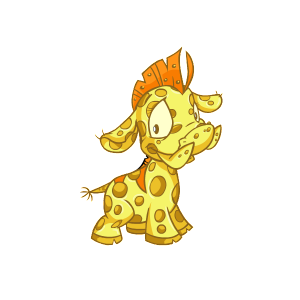 Meuka isn't the only Snot Neopet that deserves all the glory. 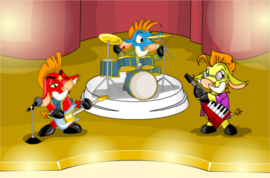 On the 31st of every month (every month with 31 days that is, coincidentally May has 31 days), you can head over to the Tyrannian Concert Hall for a show by the all-Moehog group Moehawk. Named after the signature tuft of hair that sits on top of the Moehog's head, this band knows how to rock out. Featuring drums, guitar, and a key-tar, this band will rock your socks. They have garnered enough fame to have earned a Collectable Card in their honor, and because they only perform a few times a year their merchandise has gotten quite valuable. It's a show you don't want to miss! Moehogs are very friendly, but they do like to engage in a fun battle with other pets. Their strong tusks and short snouts make them optimal for going head to head and coming out victorious. 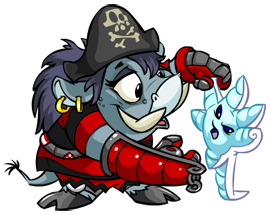 As with all special species days, you'll get free Moehog training at the academies on the day. 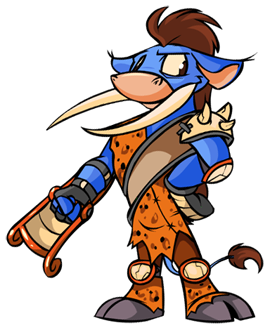 Due to the way the Moehog's head is uniquely shaped with it's tusks, it also has provided one of the best Battledome weapons of all time. The Moehog Skull. This weapon has an unreal amount of abilities. Firstly, it does a significant amount of damage, quite the blow to your opponents HP. As if that wasn't enough, it'll also block a bit of their attack on you. And it doesn't even end there! It has a 100% chance of freezing your opponent and stopping them from doing anything on their next turn. Incredible. The downside is that this weapon is prohibitively expensive and hard to obtain, as well as being limited use. It would be way overpowered if you could use it every single turn. However, it will decimate your opponents in almost every battle. Not only do Moehogs have tails, they also have many tales written about them! One of the most famous is Moehog Matching, written by the famous Milly Moehog. There are many other Moehog titles out there, such as Looking Like A Moehog, which will teach you how to style any other species to have some of the unique qualities of our four legged friends. Books like Knowing Moehogs and Tusk Care For Moehogs will teach you essential facts about the history and care of this species, as well as how they behave and interact. And if you really are a superfan, pick up a copy of Moehog Than You Can Handle, a thick book that tells the story of one very large Moehog. As my final bit of advice I recommend joining in with the Altador Cup! 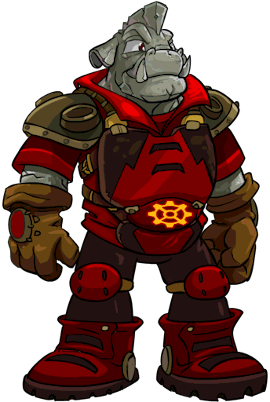 The team from Tyrannia features two Moehogs, Scrap Taggert and Mor Gollog, and Team Krawk Island features Nitri Cassale. With their four legs and tough tusks they are able to maneuver the court quickly and intimidate the opponents. Celebrating the Moehogs amazing sports ability is a great way to enjoy the holiday. Especially since Moehog Day falls so close to the Altador Cup this year! Below you can see Scrap and Nitri! It seems like this change helped Tyrannia immensely and caused Moltara to fall behind for the last few years. We'll see what this year brings for both teams though! I wish you the best for Moehog Day and hope you enjoyed it as much as I do! !